As a forward-thinking company, Exypnos strives for continuous performance improvement of Polyurethane Framing & Encapsulation and/or Component Bonding solutions. We have used our knowledge, experience and drive to redefine the existing systems and to launch the innovative Exypnos Polyurethane Pouring Unit, shortly called Exypnos WSTPE Unit. We already reveal some distinguishing features of this game-changing newcomer! Fully automatic Mould Changeover System. The diversity in both product variations and production volumes are efficiently solved. A variety of different type of moulds with dimensions from 500mm to 2500mm are switch in less than 200 seconds. User-friendly Exypnos Operating System (EOS), industry 4.0 ready. Keep an eye on your mailbox in the coming weeks for a next update! 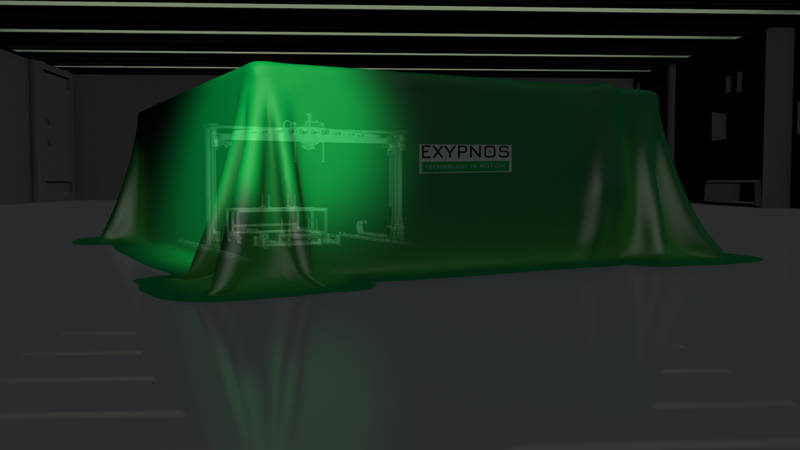 If you want additional information about the possibilities of the Exypnos WSTPE unit, do not hesitate to contact our experts team at engineering@exypnos.be.